Jesus took with Him Peter, James, and John, and brought them up on a high mountain privately (Matthew 17:1b). 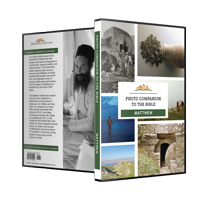 No specific mountain is named in the Gospels, but there are reasons to believe it may have been Mount Hermon. 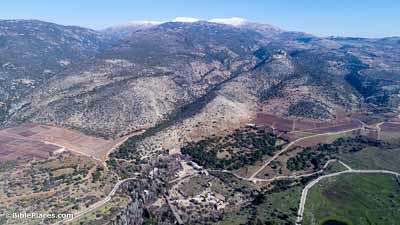 As shown in this picture, Mount Hermon overlooks Caesarea Philippi, the setting of the end of the previous chapter. 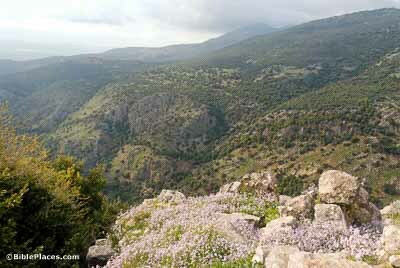 It is also the highest mountain in Israel, fitting Matthew’s description in this verse. Lord . 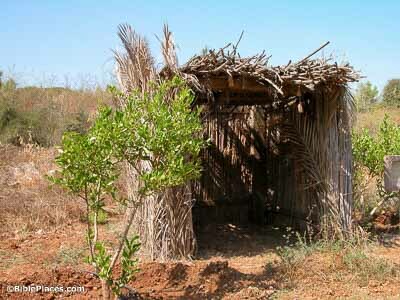 . . if you wish, I will make three booths here (Matthew 17:4). Often translated “tabernacles” or “tents,” the word here refers to sukkot, booths built every year during the fall feast of Tabernacles to commemorate the wilderness wanderings. This festival was understood as a symbol of the future kingdom (Zechariah 14), which may account for Peter’s suggestion. And as they were coming down the mountain… (Matthew 17:9a) If the Transfiguration happened on Mount Hermon, they would have had a view similar to this as they descended. They may have passed through this very spot, as it forms a natural route back down in the direction of Caesarea Philippi, where the crowd would have been waiting. For he often falls into the fire, and often into the water (Matthew 17:15b). 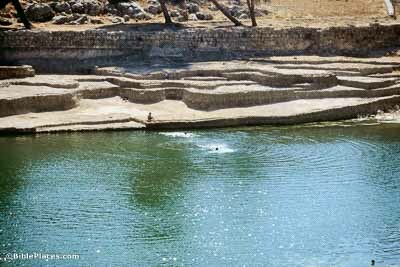 Falling into the water might not seem like a pressing threat in Israel, even with Galilee’s relatively lush climate. However, open reservoirs and cisterns were common in that day (such as this one south of Bethlehem) and may have proven quite a risk to seizure-prone individuals. 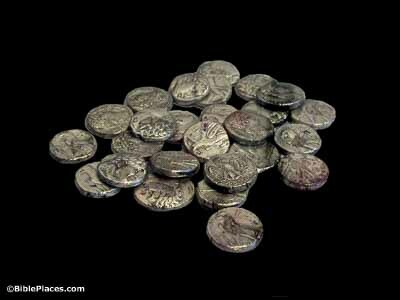 And when they came to Capernaum, those who received the didrachm came to Peter and said, “Does your teacher not pay the didrachm tax?” (Matthew 17:24) Capernaum, Jesus’s home during his ministry and the setting of his teaching about the temple tax, was a city on the northern shore of the sea of Galilee. 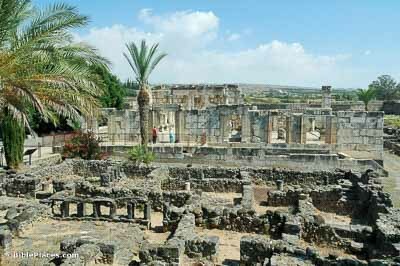 The ancient synagogue is later than Jesus’s time, but it is adjacent to the traditional house of Peter. Go to the sea, and cast a hook, and take the first fish that comes up. And when you have opened its mouth, you will find a stater (Matthew 17:27). The word variously translated as “coin,” “money,” “stater,” or otherwise, refers to an amount equivalent to a shekel, pictured here. The temple tax was half a shekel, meaning that this coin would have been sufficient to pay the fee of two men—exactly what they needed.